How do I fix the horizontal alignment of my footer in a PDF file produced from an R Markdown using LaTex? How do I make the footer so that they're well-aligned horizontally (either bottom-, center-, or top-aligned)? This is what I want my footer to look like (in-general). 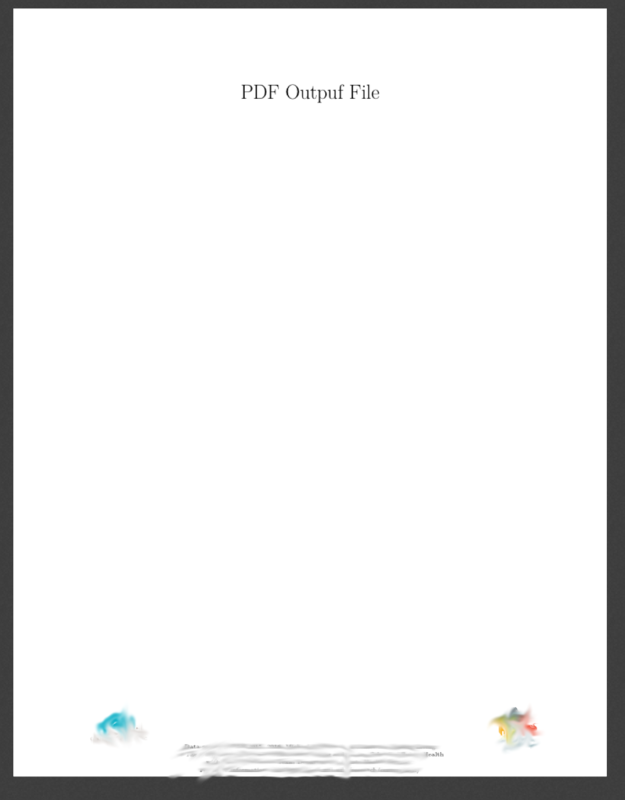 But my bare pdf output looks like this (sorry had to blur the images and actual text). Not the answer you're looking for? Browse other questions tagged fancyhdr r or ask your own question. Modifying the latex code from tabular() in r so that output is not cut off and is displayed properly?